The Texas Higher Education Coordinating Board swiftly signed off on opening two new medical schools Thursday, months after a similar proposal from Sam Houston State University was subject to extensive debate and nearly shot down by the nine-member body. 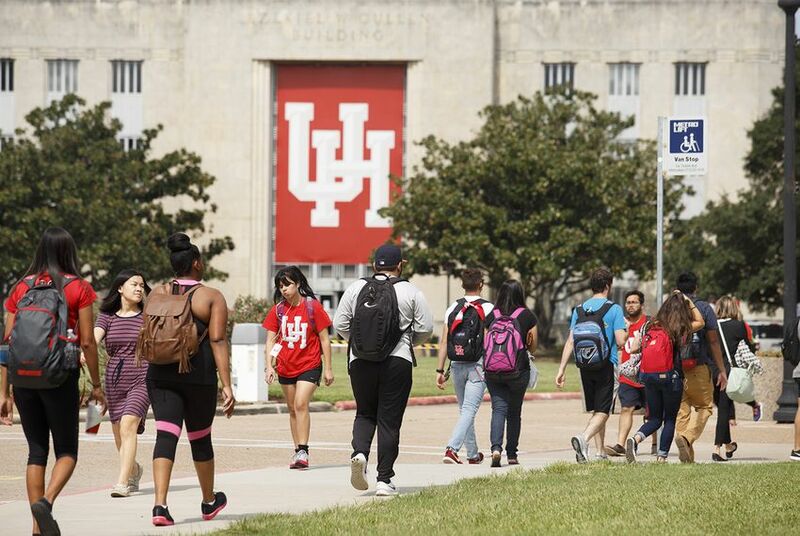 In back-to-back votes, the University of Houston and the University of North Texas Health Science Center were given the go-ahead to launch doctorate of medicine programs in the next few years, with respective tuition and fee rates ranging from $22,500 to around $60,000. The UNT program will be operated with Texas Christian University, a private institution in Fort Worth that will house some of the new medical school's facilities, and provide a portion of its initial financing. One board member, John Steen, Jr., voted no on approving the North Texas proposal. The UH school received unanimous support. Texas currently has a dozen medical schools, nearly half of which are based in or near Houston, including Sam Houston’s program, which was narrowly approved in August. Three of the 12 schools, including the UNT Health Science Center, offer doctor of osteopathic medicine degrees, which take a more holistic approach to healthcare than an MD track. The decision to approve Sam Houston’s doctor of osteopathic medicine program over the summer was contentious, and touched on a long-running concern that the state is becoming oversaturated with graduate medical programs. Members of the coordinating board and lawmakers have tried to limit the number of new medical schools that are built, arguing they could siphon state funding from post-grad fellowships that keep entry-level doctors practicing in the state. "I've expressed my concerns about this proposal a number of times," Raymund Paredes, commissioner of the coordinating board, said of Houston's medical school. "My concerns have absolutely nothing to do with the quality of the proposal and the arguments that President [Renu] Khator and her colleagues have made so elegantly." Khator, who heads the University of Houston and the system that shares its name, told the board, "there is definitely a tremendous shortage of primary care physicians in Texas as well as in Houston." "This is not a badge of honor for the University of Houston," she said, "it is a natural maturation of the offerings that we have in healthcare." Both schools fundraised aggressively in the lead up to Thursday’s vote. The UNT Health Science Center, in partnership with Texas Christian University, has received a donation that covers a year of tuition for the program’s inaugural class — and UH has raised $35 million so far, some of which will be used to pay four years of tuition for the first cohort of students. UH will now seek accreditation. The North Texas partnership has received preliminary approval from one accreditor and is awaiting a decision from another. Disclosure: Sam Houston State University, the UNT Health Science Center, Texas Christian University and the University of Houston have been financial supporters of The Texas Tribune, a nonprofit, nonpartisan news organization that is funded in part by donations from members, foundations and corporate sponsors. Financial supporters play no role in the Tribune's journalism. Find a complete list of them here.